There’s a nice article about our investment in today’s Sunday Times. A Scottish dog food brand has collared £300,000 of seed investment to fuel growth. The company was founded by neighbours Mark Scott and Tony Ottley after their dogs — Morph, a collie, and Barney, a golden retriever — died from cancer. “We realised highly processed dog food could have been the cause,” Scott said. 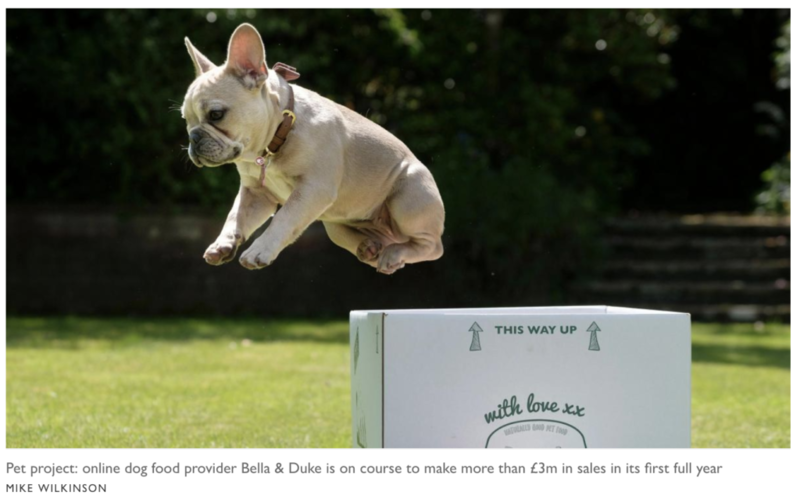 Bella & Duke, an internet- based subscription service, is on course for sales of more than £3m in its first full year, Scott said. It employs 10 people at its base in Blairgowrie, Perthshire.